Product Details-Composition- Salicylic Acid IP, Phenoxyethanol BP ,Features- Regular ear cleanser, Pre treatment of otitis, Non irritating cleanser with antimicrobial activity, Use- Anti adhesive properties to prevent bacterial and fungal attachment, Eliminates unpleasant ear canal bad odour. Suitable- Dogs and Cats of any age. Quantity - 50ml. 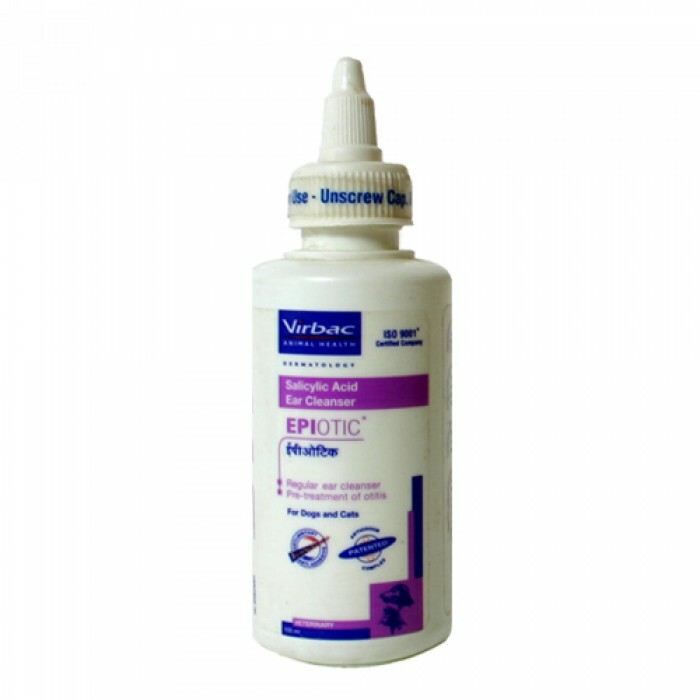 Product Information -EPITOIC ear cleanser is a Non irritating cleanser with antimicrobial activity. The unique formulation of EPITOIC ear cleanser with glycol technology provides non adhesive properties to prevent bacterial and fungal attachment. Patented anti odour technology of EPITOIC ear cleanser eliminates bad odour of ear canal. It may be used in any age of dogs and cats.